The picture below shows what the window looks like before any takes are added to the album. 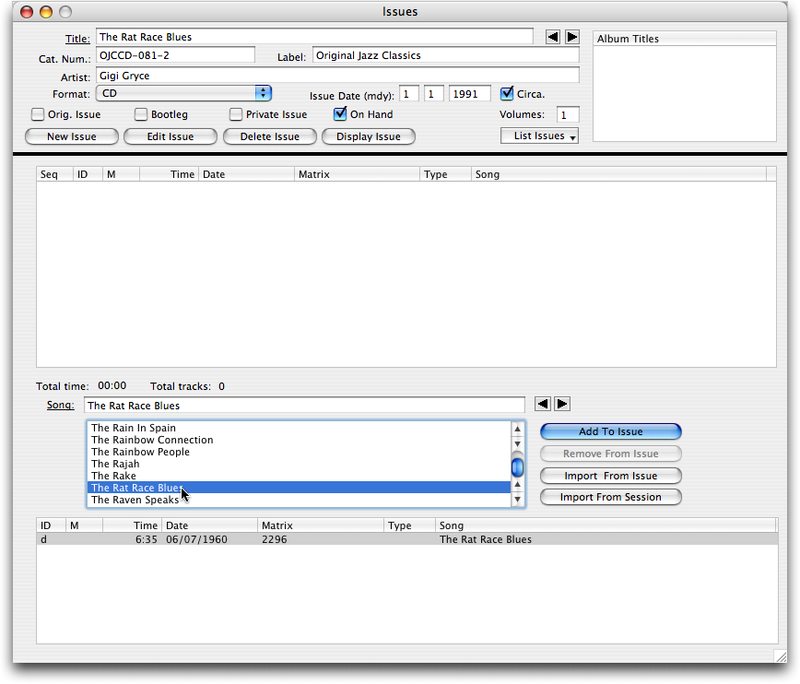 Adding tracks to an album is a matter of selecting the song titles of performances from a session. 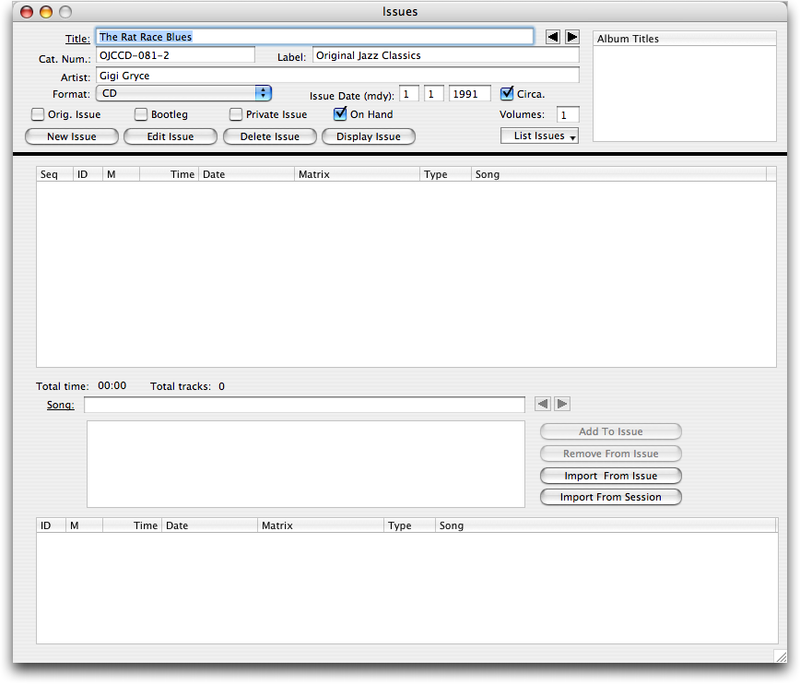 As shown below, the Song field is a lookup field. 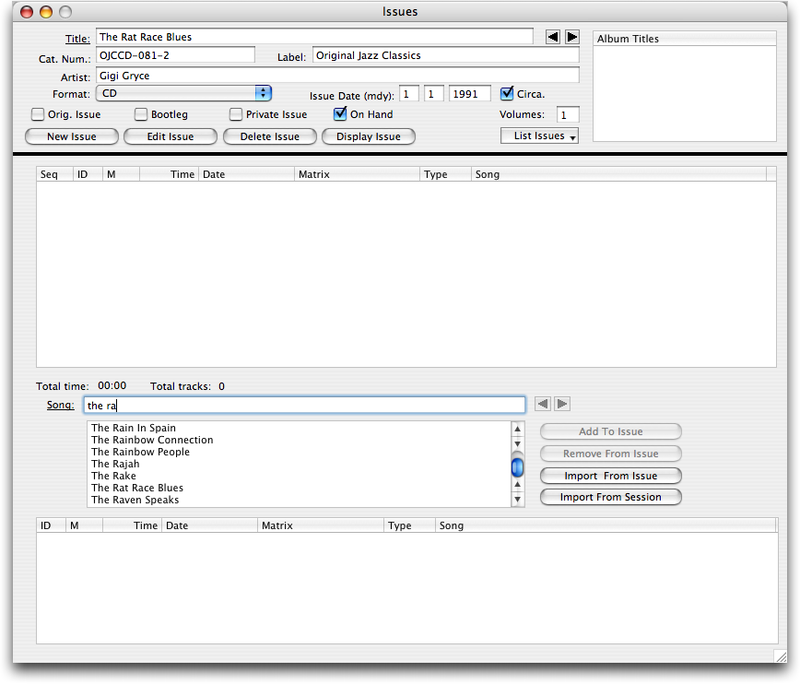 Typing the characters "the ra" brings up several song titles to choose from in the selection list below and to the right of the Song field. In this case The Rat Race Blues is the title needed. 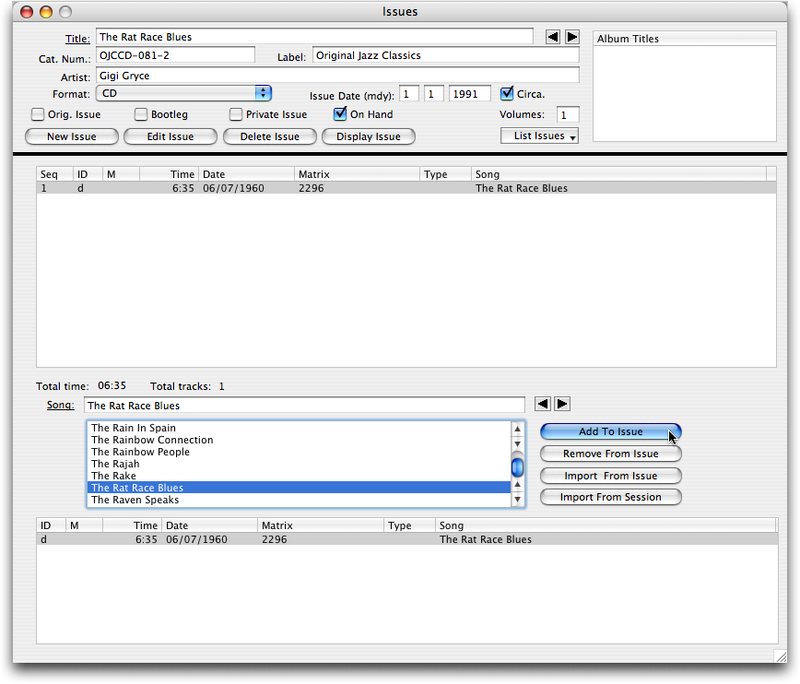 Selecting The Rat Race Blues from the selection list will fill in the Song field with that title. Also, Brian will search for any performances of that title in any session on the database. In this case, there is one performance of The Rat Race Blues — the one we entered previously for the session on June 7, 1960. Selecting the performance from the lower list on the Issues window and pressing the Add To Issus button will add that performance to the issue. This is shown below. The picture below shows the competed entry for all the tracks on the cd, The Rat Race Blues. 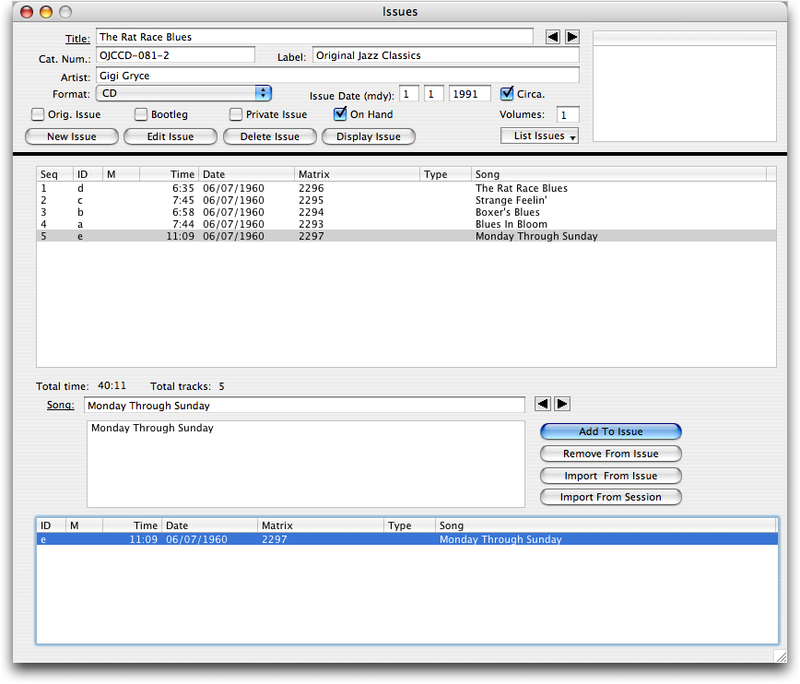 The track order of the cd is implied by the order of entry. This order can be changed by selecting and dragging a track to a new order location.